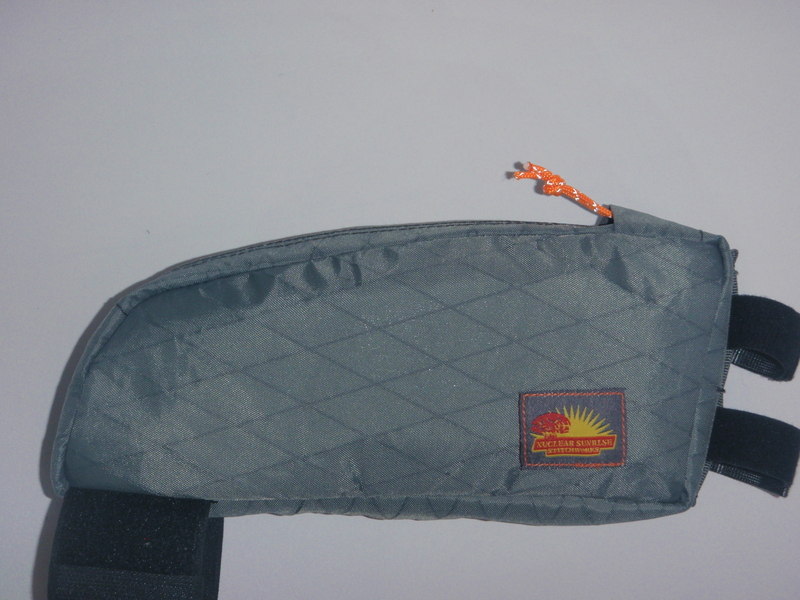 Custom Frame Bags – Starting price of $110 gets you a single compartment bag. 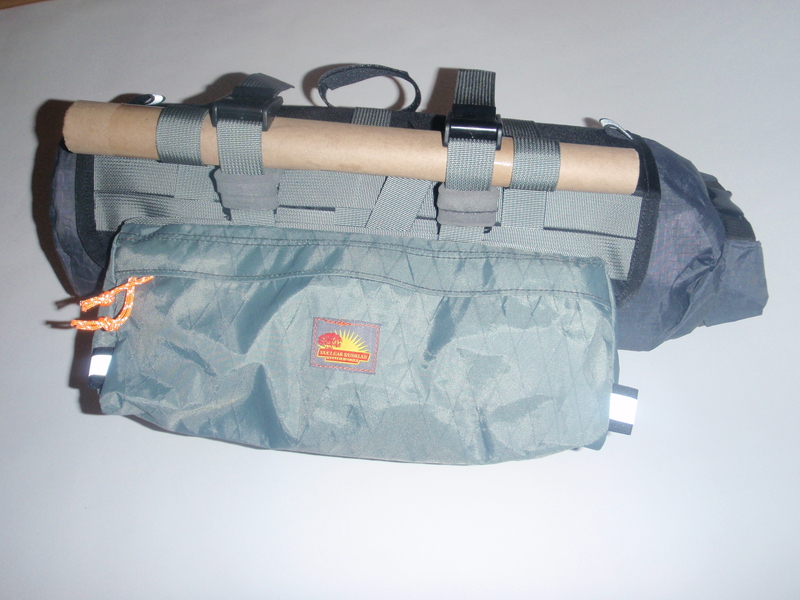 TITAN Top Tube Bags – Custom bags start at $50. Hi, I saw the water bottle big bag holder you made for Javier in Sierra Vista. I have an XS Pivot Mach 5 (2010) that only allows one bottle. I have a Thompson Elite setback seatpost and am looking for something similar but smaller than Javier’s setup. Thanks for any help you can give. How does one order? I still need a handlebar harness. 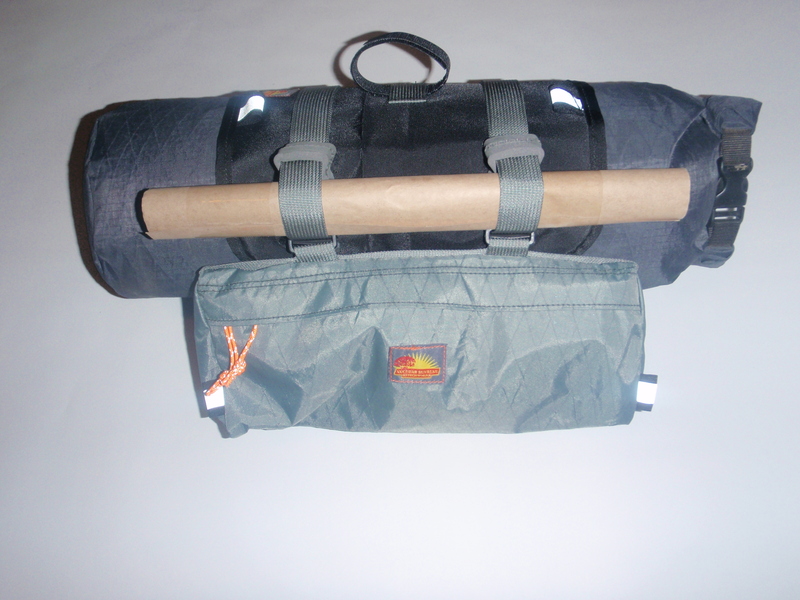 My crude setup works, but amount of bike packing I do I’ve worn out many dry bags with strap chafing. People ask about my gear all the time and cannot believe what’s packed in such small space. Contact me at bigdave@nukesunrise.com. I’ll get you set up. Check out the new web store at http://www.nukesunrisestore.weebly.com.